Hey all! I am currently trying super hard not to fall asleep as I sit & wait a few hours in between flights. I’m tellin’ you, after an awesome day teaching the Under Armour What’s Beautiful Event & then getting right onto a plane – it’s a bit hard to keep these eyes peeled right now snacking on puffins & a chai tea from starbucks is helping though! A full recap of the event will be coming soon! Everyone did amazing & it was such a fun time! This morning during the event, we incorporated some interval training (aka HIIT) into the workout! My friends at GYMBOSS define interval training as “varying the intensity within a workout.” The Swedes call this “Fartlek”, or speed play. You add intensity in short bouts that you could not sustain throughout the session. If you consistently keep a moderate intensity during your cardiovascular conditioning your body may adapt over time. Adding in some intervals is a great way to increase your fitness level! The Gymboss timer is one of my favorite fit gadgets to use during workouts! The Gymboss can be used as a repeating interval timer, countdown timer, or a stopwatch. My friends at GYMBOSS are offering you all a chance to win an Interval Timer to help motivate you through your workouts & intervals! I love using mine with other forms of equipment for some TABATA workouts. Whenever I use the word Tabata, people look at me like I’m crazy (if they’ve never heard of it)…or I’m just crazy. The name comes from a Japanese researcher who discovered a way to increase both anaerobic and aerobic pathways at the same time. You can see some examples of my Tabata workouts [Shoulder Tabata Workout] & [Bicep & Tricep Tabata]. I like it too because it has an easy to use clip so you can clip it onto your clothes, which is also cool for the outdoors! You can also get a TON of ideas on how to use it at the DailyHiit.com & if you’re interested in purchasing one you can check them out here! Leave a comment below telling us why you’d like to win the Gym Boss Interval Timer. Don’t forget to leave a separate comment below letting me know that you tweeted! This giveaway will run until next Wednesday (October 30th) at midnight (eastern time). GOOD LUCK & Thank you Gymboss! Albion Fit Workout Top Winner! The Vintage Button Photography Winner & Brunch lovin' in NYC! This would be so helpful for 7-minute fitness! I’d love a gym boss timer to help mix up my home workouts! I’d love to have a gym boss to incorporate intervals into my workouts easier! I have always wanted one! It would be great for circuits and tabata! Kraman dit :Il faut cependant tenir en compte un truc, le gouvernement prend un peu la responsabilitÃ© de ses actes. Quand il a interdit les commandites des compagnies de tabac, il aurait condamnÃ© plusieurs festivaux s’ils n’avait pas pris la relÃ¨ve que ce soit directement ou par le billet des sociÃ©tÃ©s d&qpiuo;Ã‰tat(prrncisalement la SAQ, Loto-QuÃ©bec et Hydro-QuÃ©bec). Bon maintenant, est-ce que c’Ã©tait une bonne idÃ©e d’interdire ces commandites, personnellement, je crois que non, mais c’est un autre dÃ©bat. i have wanted one of these for a while. i would love to win one for my home workouts! they seems like they would be so helpful… thanks for the post and contest opportunity! I LOVE doing tabata workouts and this would b much simpler than having an app on my phone or staring at the clock on the wall! GymBoss would be helpful when doing my beloved kettlebell workouts! I can’t always make it to Crossfit due to work and kid’s schedules but I love tabata workouts. At home I don’t have the coach telling me to Go! I am also a runner and running intervals is vital to improvement! My iPhone is difficult to use for tabata and running intervals. I would love to incoporate more Tabata into my workouts! I want to add more intervals, circuit workouts, HIIT and tabata workouts to my every day running routine… this would be perfect to help me target! I like to be quick and efficient in my workouts. The timer would really help with hiit workouts I like to do. I’d love to win the gymboss timer to intensify my work outs! I love tabata training and know the timer could help me do it more at home! What a great gadget…always looking for ways to improve fitness! A gymboss has been on my wish list for quite some time! Ready to get back into shape after a long hiatus. I just tweeted! I love tabata workouts! I am training for my first show in April….my coach has me on interval training almost every day. I have a Polar watch, which is fabulous, but in my opinion hard to manage for timing….I have to take it off and try and see it..just not working for me. I would love to have the gymboss to help me make it through this super intense interval sessions. Thank you!! I have been looking at buying a GYMBOSS for a while now – it would be great to win one!!! I would like to win the timer giveaway because I do a lot of HIT intervals and have to count in my head! The timer would keep me on track! I’d love to win the Gymboss to start doing Tabata workouts at home!!! I’d love to win to because I’m new to interval training and can use the extra assistance! It would make my workouts go much smoother! My clients would love to see this too!!!!!! These would make my workouts so much easier! Right now I use an interval timer on my computer which is not good if I want to sprint outside! This interval timer would be a life saver for me! I currently don’t have a fitness watch or a watch to workout in in general, so I’m constantly having to look for a clock in the gym. It doesn’t let me fully focus or push through my HIIT workouts because I’m worried about time. I need this to take me to the next level! I would love an interval timer because I have a list a mile long of HIIIT work outs to do, but don’t have a timer!! This has been on my wish list for AGES! I recently switched to at home workouts, to save my husband and I some money and I have a whole list of workouts that require a timer! This would help out a ton! 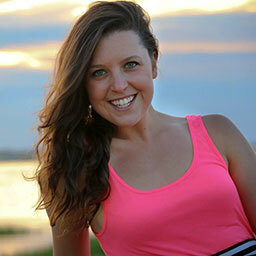 Awesome giveaway and I love your attitude and website…#betruetoyou is something I repeat over and over now! I would love to win this because i didn’t even know such a device existed, so great! 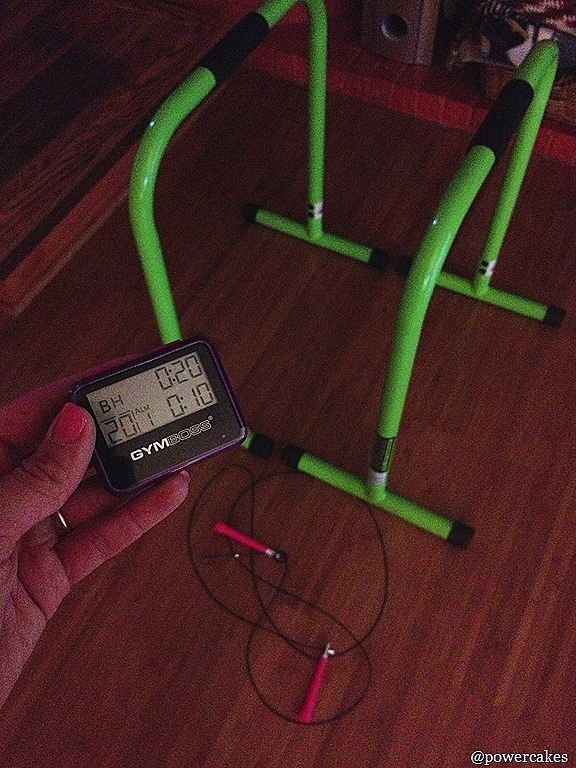 i’d love to win the gymboss interval timer because it would help me do crossfit workouts! I’ve been stuck in a rut with my workouts lately, just doing the same things over and over. I’m finally working on getting out of that, and I want to start doing more interval training. Having this timer would be great for that! I downloaded the Gymboss APP to my iphone but I would prefer this one so I can clip it and leave my phone out of the workout. 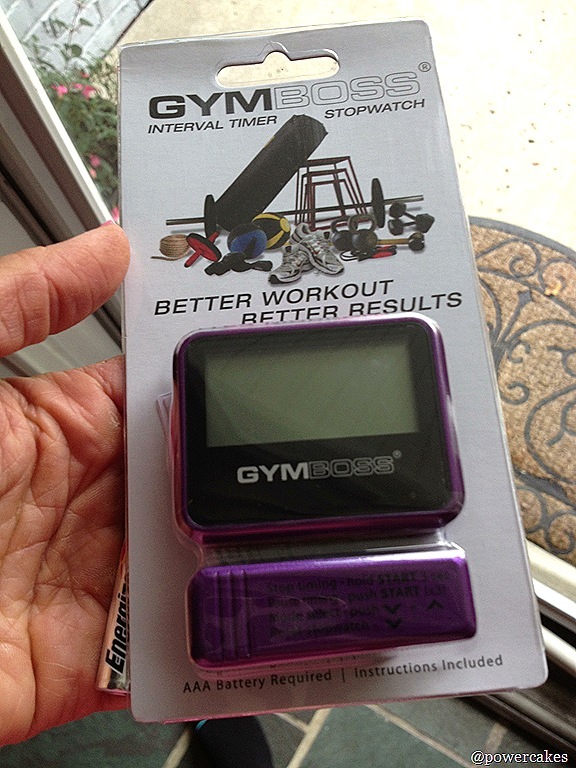 I would love to win this timer to use for my workouts in the gym. 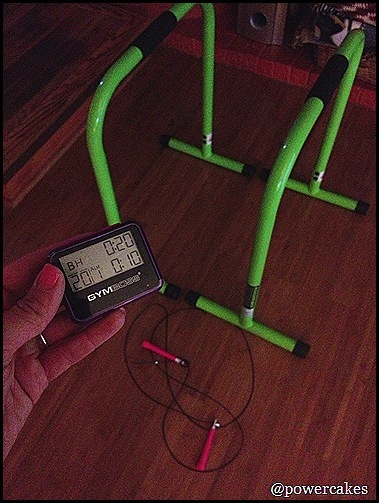 I’ve been wanting to incorporate more tabata intervals into my workouts, and the gymboss would definitely help! I’ve been wanting a gym boss timer for my home workouts so bad! I love going to the gym but sometimes need to revert to plan b – the home workout – when I have a crazy day at work! I’d love this timer because it would push me one step closer to my fitness goals. I have a fitness wish list of sorts and this timer is on it. No more excuses, no more doubts. It’s time to move forward for me and no one else. I’m ready to be the best version of myself. I hear it’s better than any app i’ve tried! We would LOVE to win this timer because it would be perfect for incorporating more tabata and circuit workouts into our workout routine! I would use it to help with my tabata workouts. Love them! Tweeted and I would LOVE to have one just because I never had one! I just started doing interval workouts for strength training and love them. I want/need an easy way to time the intervals! I have a friend’s wedding coming up, and really want to get in better shape for it. This seems like it’ll help a lot with that goal. I’ve recently started getting into interval training and with summer coming up in australia I’m wanting to experiment with more outdoor style training so this would be perfect!! I don’t know if this is open to Canadians, but just in case: I’d like to win the Gym Boss timer because it would make it easier to do outdoor workouts. cuz im new to working out and this would help a lot! I’d love to have this to time my circuit workouts! I’d love to use this for the clients I train! Perfect for at home training to keep me on track! I would love this! I have such a busy schedule that this would allow me to do a quick HIIT at home! This looks great! i do sprints and use my timex watch. its not always convenient, since i have to stop and reset each interval. i would love i timer that was programmable. Since I do all my work outs at home I love doing interval work outs, but since I don’t have a timer I use an online one, it’s just kind of a hassle switching back and forth between tabs to change it, and look at the work out i’m doing, this would make it so much easier! and i can take it with me!! I am on the track team and its currently off season I have no way of timing myself to see whether I’m improving. I have tried using my phone and running with it in my hand but it doesn’t work. A GYMBOSS interval timer would really help me out and I would love to win one. well, basically because right now, I’m using a stupid kitchen timer. I carry it in my gym bag and inevitably, it gets turned on and starts randomly beeping. Either that or I go to use it and the battery is dead. SO frustrating. The gal that leads one of my classes uses a gymboss and I would LOVE to have one. Thanks kasey! I love tabata workouts, but they are bit hard to do with a regular wrist watch! I hope I win! I regularly do HIIT/tabata workouts and have been considering buying a gymboss for quite some time, but I’ve been holding out for christmas Lol! I would love a gymboss timer and would use it all the time! I’ve been trying to do more interval training in my outdoor runs and currently I’m looking at the stop watch on my phone… I know I should spring for the Garmin watch but this would be awesome!! I love using intervals to keep heart rate up while training! I love interval training. It would be awesome to win this! I would love to use a Gymboss to time interval training. I’ve been using the stopwatch on my phone but it’s kind of awkward to use for that purpose. Thanks! !